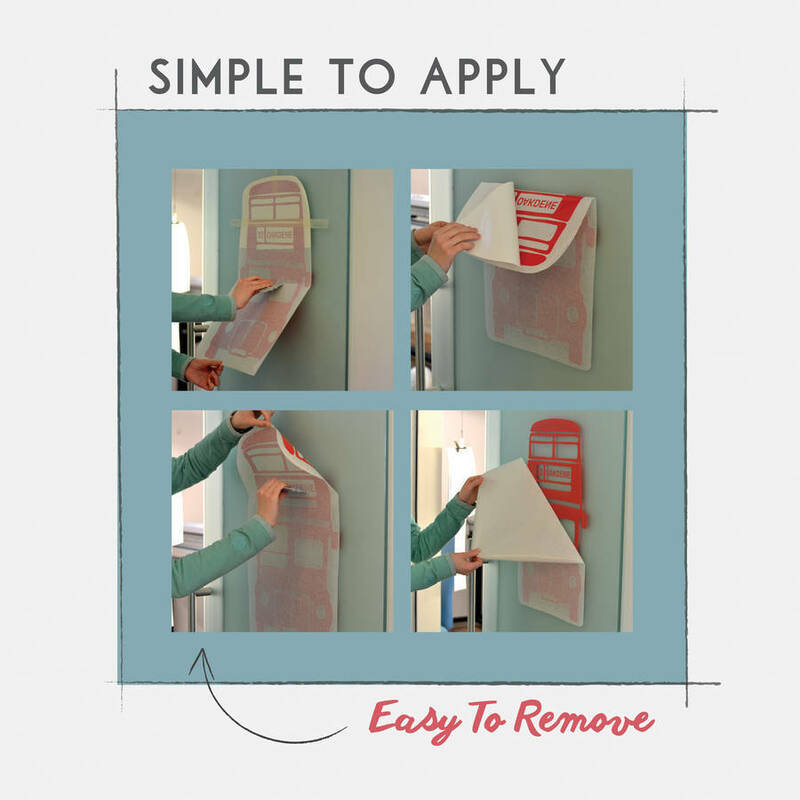 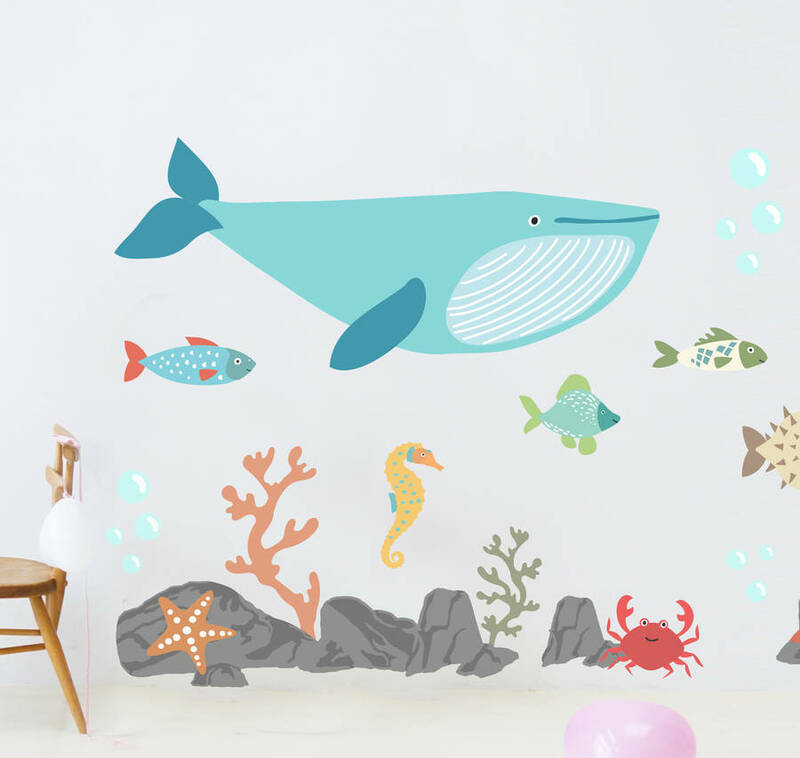 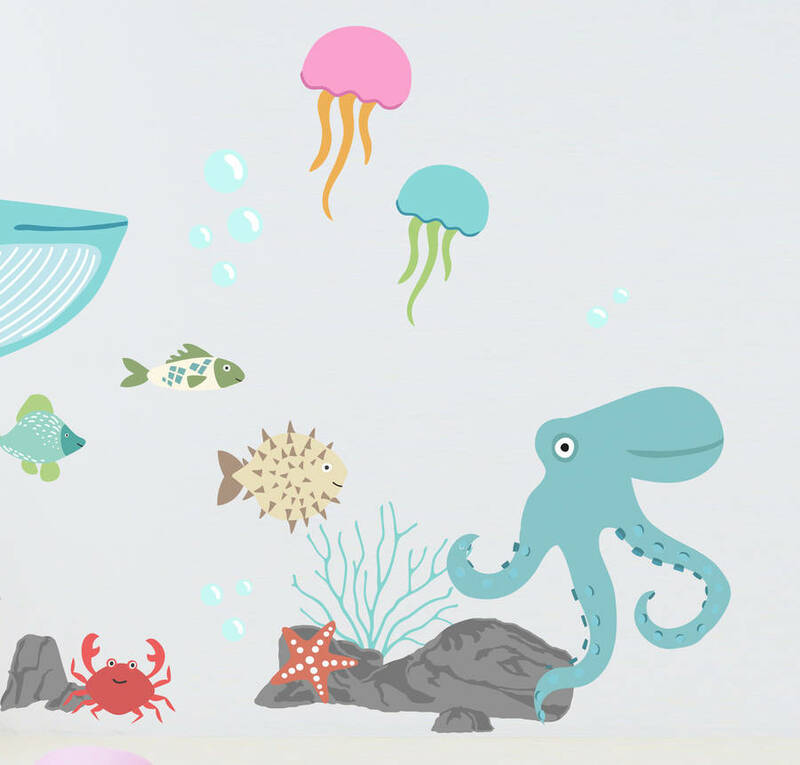 Transform your child's bedroom or nursery with this fun under the sea wall sticker set. 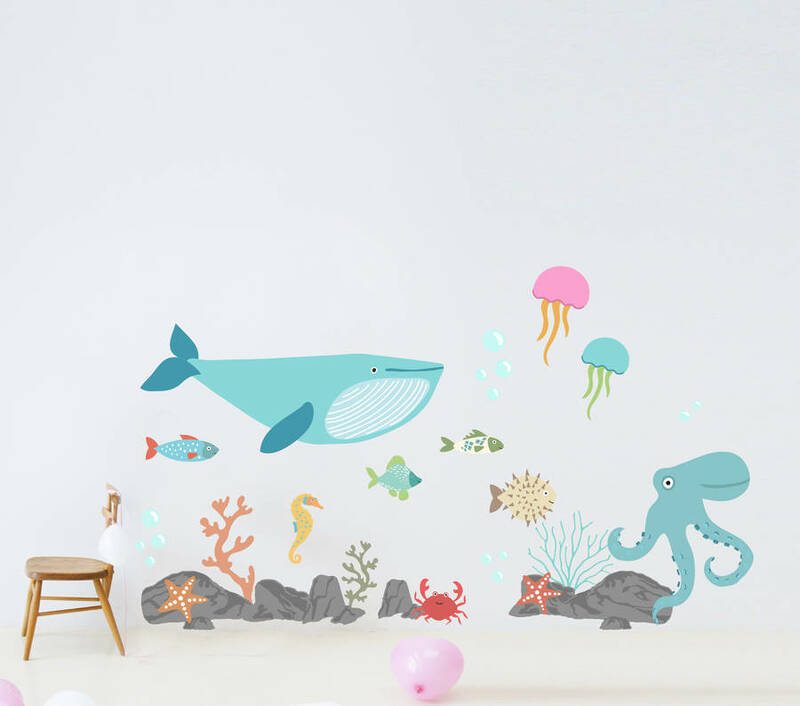 Each set contains - 1x Whale, 1x Sea Horse, 3x Fish, 1x Crab, 2x Jellyfish, 1x Puffer Fish, 2x Starfish, 1x Octopus, 6x Rocks, 3x Coral Reef and 13x Bubbles. Bubbles - Vary in size from 2cm to 5cm.